Building a new house or renovating? A smart home system is a feature which is strongly recommended to implement these days. A smart home is a home with an advanced control and monitoring system which combines features of security, safety, energy saving, environmental management lighting and luxury into one integrated easily accessible system. This integrated system provides you with limitless possibilities to control, monitor and protect what matters to you most in your home, automatically or from your smartphone. That is why smart houses are becoming the new norm across Australia and around the world. In addition, a Smart Home System increases the value of the property and makes it more attractive for buyers in a competitive market. The best place to begin your smart home system journey is with smart lighting. It is relatively inexpensive and has a great and immediate influence on your home. Generally there are two ways to make a smart lighting project come to life; replacing the light switches or changing the light bulbs. Possibly the easiest and also cheapest way to create smart lighting is by changing your light bulbs around the house. Smart light bulbs use Z-Wave or Zigbee protocols to communicate with the ‘hub’, which is connected to the internet. This setup allows you to control you lighting wherever you have internet access, on your tablet or smartphone. Possibly the biggest disadvantage of using smart light bulbs is that once the light switch is turned off, they become nothing but a normal light bulb and cannot be controlled through your smart phone anymore. Another disadvantage is the higher cost in comparison to ordinary bulbs, especially in terms of replacement and maintenance. The solution to this problem is fitting smart light switches. Since 19th century, light switches as we know them are simple switches that have two states; off or on. You must also be present to press a button in order to change the state. Smart lights switches use radio frequency and networking structure to give you a much greater control range; such as remote access, brightness, colour control, trigger based control and so on. Since smart light switches can do much more than traditional light switches, their installation and setup is also different. This must be considered when a house is being build or renovated. Most smart light switches use Zigbee or Z-Wave protocols to communicate with their hub. There are other protocols like C-Bus, which have been around for years, but the two aforementioned protocols are the most advanced, secure and popular protocols currently competing in the market. Traditional non-smart switches do not need electrical power to function but smart switches which use Zigbee or Z-wave protocols do – to drive their own electronic circuits. This means that the smart switches need a neutral wire to be supplied to them – whereas for traditional non smart switches a single live wire supply is enough. This is possibly the most important thing to remember when discussing the job with your electrician, before you begin the build or renovation process. Changing the wiring after the renovation or build has been completed could become a very costly process. There is however, an exception to this wiring method – the dimmer switch. Dimmers don’t necessarily need neutral wiring to be supplied to them to function. The catch with dimmers is that they can become unstable, and flickering dimmers are not an unusual sighting. To get the best dimming quality, the load (Light) must be compatible with the dimmer electronics. Generally there are two types of dimming designs – leading edge and trailing edge. Each of these designs has its own advantage and disadvantage. You should be matching the lighting load with the dimmer technical details provided by the manufacturer (You can ask your electrician about these more complex details). 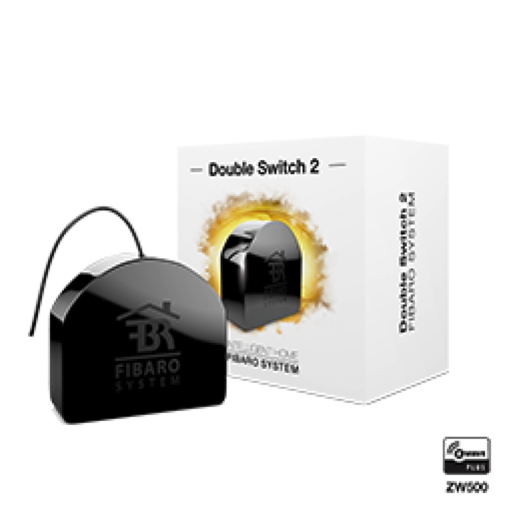 There are two general switch types in terms of module package and wiring. Switch faceplates embedded with Zigbee or Z-wave electronics are commonly used in smart home systems for lighting control. These switches could be potentially easier to install the wiring but the available range of faceplates are limited in colour, shape and material. A Zigbee or Z-Wave switch module which needs to be connected to a switch face plate separately is another method used for smart home light switches. Separate modules need more electrical installation work but since the switch module is independent from the face plate it provides more cosmetic options and choices. Another important factor in utilizing wireless smart home systems is the range of the devices. Most of wireless Smart home systems use mesh topology to communicate with their hub (Gateway). In general the range of devices is around 20m but it is highly dependent on the house plan and the materials used in the building. It is good practice to locate the hub in the centre of the house but in many cases this is not practical – repeaters can be used in this instance to increase the range of the wireless system. 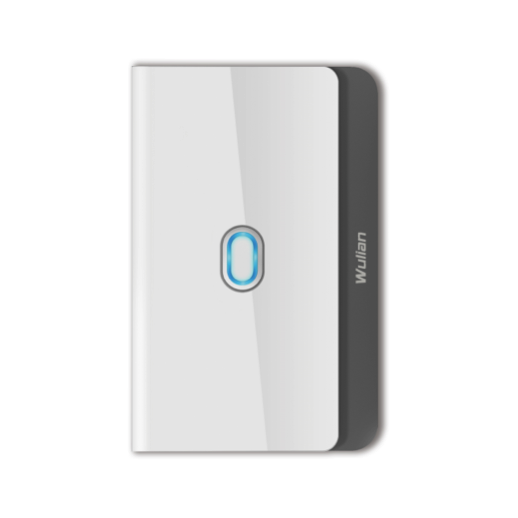 Any mains-powered Z-Wave device automatically acts as a repeater and the signal can have up to 4 hops across devices. Zigbee devices vary in this regard, only some of the Zigbee devices are acting as repeaters but also off the shelf Zigbee repeater is available for wireless range extension. In Smart Home systems, air conditioning can be controlled through IR transmitters or software Plugins. IR transmitters are smart modules which can be programmed to control any equipment which uses IR for remote control access. Once programmed they can communicate with the equipment exactly the way in which the equipment remote control does, but the difference is you get access wherever you have internet access. IR transmitters are easy to program and are a relatively cheap option in comparison to other options in the market, however, they are less flexible to program. To use plugins, first you need to make sure that your AC make and model is supported, and the software plugin for your equipment is available. Sometimes you need to use protocol adaptors between your AC and smart home system to establish the link between the two of them. Cool Master is one the brands which supplies adaptors for AC systems. Using plugins could be more complicated than an IR option but it is much more flexible. For example, a smart thermostat could be used to control the temperature or AC could be programmed to turn on or off based on triggers it receives from motion detectors or other devices. If you decide to use plugins make sure your make and model of your AC is supported by your smart home system. With smart security systems you can monitor and control your home from just about anywhere in the world. You will also receive alarms/alerts if any activity is happening within the designated secure area of your home. Security systems are highly customisable. In addition to the above you may also add a level of safety into your system. You could also then consider the following: gas and water control valves, smoke detectors, fire alarms and fire sprinkler systems. Security systems are available in both wireless and wired. Wireless set up is recommended as they are easy to install and the cost of installation is relatively low. They run on battery and are easy to maintain. Battery life is normally one to two years, depending on the brand and usage. Similarly, surveillance systems are available on Wi-Fi connection or Ethernet which need CAT5 or CAT6 wiring. The advantage of wireless cameras is easier installation especially on outdoor areas, however they may still require power connection. Each smart home system has its own advantages and disadvantages. Choosing the right solution is highly dependent on the individual’s requirements. It is very important to consult with experts before you start your construction or renovation to make sure wiring and layout is compatible with your desired smart home system.